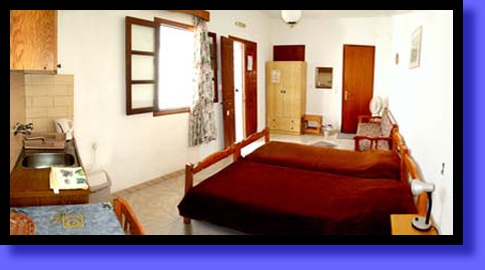 Both studios are for 2 persons, there's also a sofa bed for a child under 12. The first floor studio has a large private furnished terrace, separate kitchen & bathroom. The ground floor studio has also a large furnished courtyard decorated with flowers inside the room there is a kitchenette and bathroom. The kitchens are fully equipped providing all the facilities needed at any minute of the day including a table, a cooker, a kettle and a refrigerator. 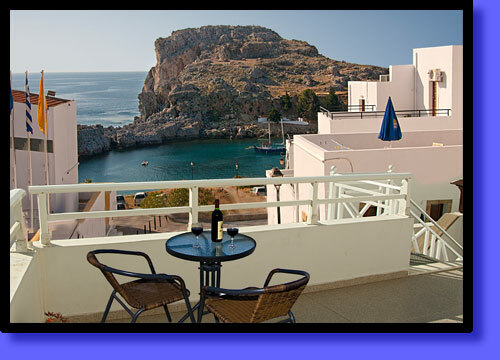 There's also in each studio air-conditioning, safety deposit box, Free Wireless Internet, T.V. hair dryer. All areas are comfortable, full of sunlight from side to side.